Petals 2 Picots is offering their readers the chance to win a copy of Crochet Home: 20 Vintage Modern Projects for the Home. This book is chock full of 20 vintage crochet designs re-imagined for now! 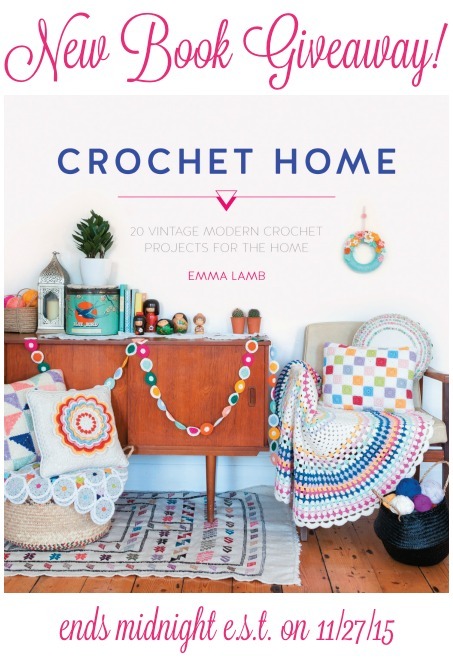 Click here to enter the Crochet Home Book Giveaway! Good luck as always and happy hooking!! Share the post "Crochet Home Book Giveaway"